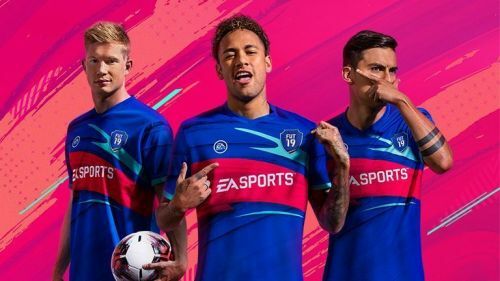 EA Sports announced earlier that the company would be disclosing the odds of revealing packs in FIFA 19's Ultimate Team mode, which resembled to resonate transparency, ultimately giving the players a clearer idea on what they could expect from the pack. The packs are similar to loot boxes, where a player could buy them by using either FIFA points or FIFA coins and open them for rewards, which includes players of different skill levels. Previously, there was a lot of ambiguity surrounding the packs as people had no clue on what to expect from a pack. The pack odds are introduced by the company behind the franchise to address this issue. However, since the launch of this feature, it has faced serious backlash from the gaming community, as it has given a lot of people an idea on how difficult it is to land a high-rated player by opening packs. The pack odds displayed for a pack are very vague and only showcase the probabilities of finding a player above a specific overall, which made matters worse for people looking to get a high reward with the Premium packs. Landing a player who has 84+ overall is less than five percent, which is very disappointing. An 84+ rated player could be either Cristiano Ronaldo or Arjen Robben, and the new system doesn't clear the air on the ambiguity of rewards. Furthermore, it is also seen that the Ones to Watch Player has a probability of less than one percent. All of this points to the fact that one needs to spend a huge amount of FIFA coins to build the Ultimate Team to their liking. With the way the system is implemented right now, people will find that the odds are always stacked against their favour and might stay away from purchasing a huge number of packs in the hope of landing a world-class player. Nevertheless, it is still early stages, and EA could well tweak the feature with its next update to address the concerns of the users. EA Sports' FIFA 19 released on 28 September 2018 and is currently available for PC, PS4 and Xbox One.